"A hymnal that satisfies the Pastor, the Musicians and the Congregation. That is no small feat." Heritage Congregational Church, Spokane, Washington. CLICK HERE to see what others are saying about Worship & Rejoice. 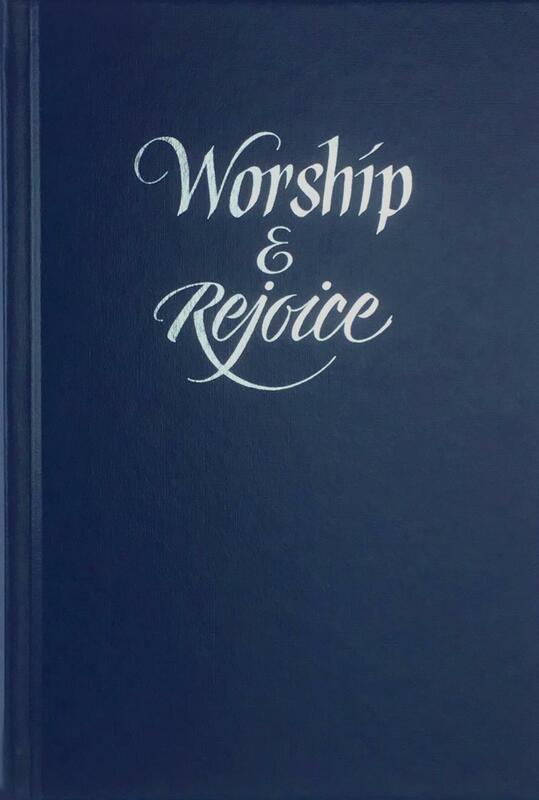 WORSHIP & REJOICE is Hope's most up-to-date hymnal available. This extensive collection of 749 titles contains all the essential traditional hymns, plus over 100 of the top contemporary worship songs. With the diverse needs of today's church in mind, the editors have included the best new hymns from today's hymn writers, multicultural and global songs, spirituals, ecumenical songs and Taize titles. The broad scope of Worship & Rejoice makes it the richest resource available for blending different styles of music together in one service. For a limited time, order a sample copy for only $10.00 with free shipping in the U.S. The Accompaniment Edition features two 8 1/2" X 11" spiral bound books with 10% larger print than the pew edition. Care has been taken to minimize page turns. Much more than typical keyboard editions, these books include chord symbols for every selection, proving a valuable resource for all instrumentalists. 10% Off Orders of 50-99 books. Use coupon: 10HYMNAL at checkout. 20% Off Orders of 100+ books. Use coupon: 20HYMNAL at checkout. Blue | Red | Green | Accomp.